Shape features applied to object recognition has been actively studied since the beginning of the field in 1950s and remain a viable alternative to appearance based methods e.g. local descriptors. This work address the problem of learning and detecting repeatable shape structures in images that may be incomplete, contain noise and/or clutter as well as vary in scale and orientation. A new approach is proposed where invariance to image transformations is obtained through invariant matching rather than typical invariant features. This philosophy is especially applicable to shape features such as open edges which do not have a specific scale or specific orientation until assembled into an object. 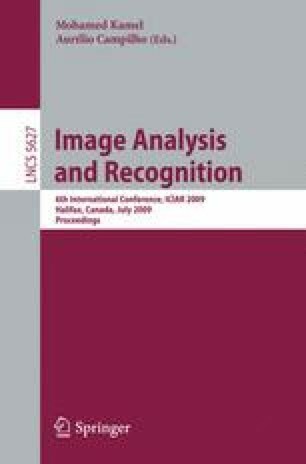 Our primary contributions are: a new shape-based image descriptor that encodes a spatial configuration of edge parts, a technique for matching descriptors that is rotation and scale invariant and shape clustering that can extract frequently appearing image structures from training images without a supervision.